Now that the days of basking in the afternoon sun are behind us, we can focus on recovering that beautiful skin. Great news! 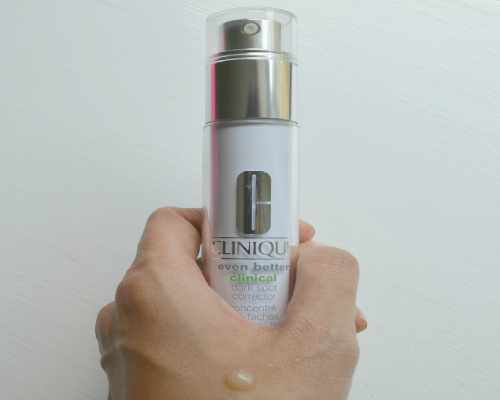 This post is all about those pesky skin concerns we have, but do not know how to treat. I will be focusing on mine, so read on, if you want to learn how I make them disappear. My travel-sized Clarisonic Mia is great from the home to the hotel. This tool helps clean the face 6x better than just using your hands. Look at the brush head, after you remove your makeup and wash your face with the Clarisonic. You will see all of the makeup that was missed! The sonic technology aids in a deeper clean of the pores and the face. Result? Bright, smooth skin with smaller looking pores. Your face can absorb those expensive treatments (below) and moisturizers better now! I have spent many long days in the sun this summer - boating, paddling, and beach cruising. Unfortunately, I got a lot more sun exposure than my sunscreen could handle. The dark spots came hand in hand with the luscious tan. Good thing the Clinique Even Better Clinical Dark Spot Corrector lightens my dark spots and post acne marks. It is a treatment that can be used twice a day. I use it once at night under my moisturizer, since my skin is sensitive. To not reverse the effects of the treatment, I use a sunscreen with SPF 30 in the a.m. My go-to? Clarins UV Plus SPF 40, of course! Ole Henrikson Truth Serum Vitamin C Collagen Booster is packed with Vitamin C, which increases collagen production in the skin and brightens, lightens, and tightens for glowing, firm skin. Vitamin C is also a powerful antioxidant that fights free radicals that attack the cells and cause premature aging, so it is best applied in the morning. I apply a very thin layer underneath my moisturizer and sunscreen, before I leave the house. 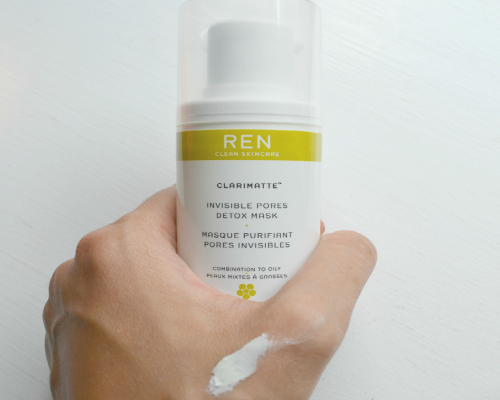 The Ren Clarimatte Detox Mask draws out impurities from the pores and detoxes the skin, so dead skin cells will not accumulate, clog the pores, and form those unattractive blackheads. It has reduced the size of my pores in three weeks and controlled my sebaceous glands, so my face is no longer an oil slick. You leave the mask on until it dries, and then rub it off. I rinse it off, since it does not come off very easily when I rub it. This line uses natural ingredients and is free of parabens, sulfates, mineral oil, and petrolatum, too! I mainly use Ole Henrikson Truth is in the Eyes Vitamin C Peel Concentrate for the milia (tiny, white bumps) around my eyes. Seems like they run in the family, because my pops and his siblings have them too! This peel contains algae extract to firm the skin and boost collagen production. Rice bran and soybean protein strengthen the under eye tissue and improve circulation to reduce dark circles and puffiness. Vitamin C naturally lightens, brightens and tightens the skin to treat dark circles, fine lines, and wrinkles. Pat product under your eyes on the orbital bone to fight every known undereye concern, before you hit the sack. Let's get to knocking these pesky skin concerns out of the ballpark!